The Transport Secretary is likely to lower the drink-drive limit if Labour wins the next election. Lord Adonis is awaiting a report by Sir Peter North QC on the suitability of the current system before making a decision, but there are strong signals that the report will recommend cutting the legal limit from 80 milligrams of alcohol per 100 millilitres of blood to just 50 milligrams. This would mean that a pint of beer would be enough to render an average sized man unable to drive in the eyes of the law. Similarly, a small glass of wine would contain too much alcohol for a female motorist.Novice drivers, and those responsible for LGVs may face a limit of just 20 milligrams, which is so low it should be thought of as a virtual ban on the consumption of alcohol. Lord Adonis has previously claimed that there is a strong case for lowering the legal limit - the government believes it could prevent up to 65 deaths and 230 serious injuries a year. 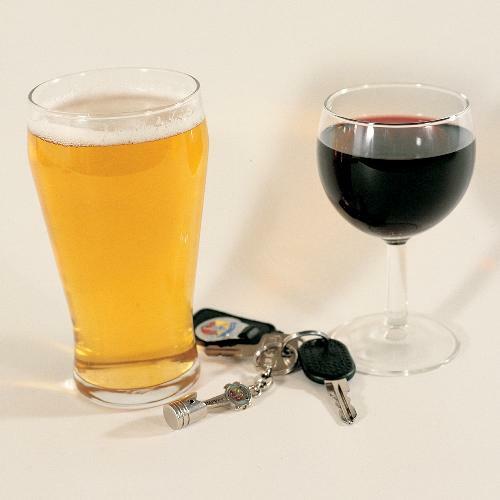 Drink driving is currently blamed for claiming the lives of over 400 people a year in the UK. But campaigners say any change in the law will be controversial. The relatively low number of fatalities and falling prosecutions suggest that the vast majority of the nation's motorists are capable of enjoying alcohol within the current limits. It is also extremely unlikely that lowering the limit will dissuade the tiny minority of drivers who already believe it is acceptable to break the law. There has also been some speculation that a cut would be accompanied by lighter penalties. Many other European countries already enforce a 50 milligram limit, but do not automatically ban motorists caught above it. However, any softening of the UK's tough drink-drive laws is likely to be heavily opposed by the nation's road safety organisations. Despite Lord Adonis's apparent enthusiasm for a change of the rules, a final decision will not come before a general election as the Government is obliged to carry out a 12 week consultation before any action may be taken. The shadow transport secretary, Theresa Villiers, has already reassured the Daily Telegraph's readers that a Conservative Government had no intention of changing the law. "If the Conservatives win the election, we will not reduce the limit to 50 milligrams. We don't think the case has been made for change. "Other countries in Europe also have lighter penalties. We feel the best thing is to maintain the current limit and a mandatory ban and ensure that it is properly enforced."